You cannot believe Danny O’Connor. The congressional candidate claims he is a moderate, but he is actually a stealth liberal who will further the Democrat Party’s radical left-wing agenda if sent to Washington. O’Connor has gone to great lengths throughout this campaign to represent himself as a moderate, and repeatedly claimed he is willing to work with President Trump. But he’s talking out of both sides of his mouth. Just this week, Danny O’Connor said he would vote for Nancy Pelosi as speaker, despite claiming for months that he wouldn’t support her. Last week, reports revealed that O’Connor has misrepresented his experience in the County Prosecutor’s Office. O’Connor’s biography claims, “after graduating law school and passing the Ohio bar exam, Danny worked in the Franklin County Prosecutor’s Office in the juvenile division.” But records reveal that he was merely a seasonal certified legal intern. The last thing Ohioans need is another lying politician in Washington, D.C., but the problems with Danny O’Connor don’t stop with his failure to tell the truth. Despite pronouncements that he will work with President Trump, O’Connor is a self-described member of “the resistance” who opposed the president’s tax cuts and supports amnesty for illegal aliens. When it matters most, O’Connor will stand with congressional Democrats such as Nancy Pelosi, Maxine Waters and Chuck Schumer. After all, they’re bankrolling his campaign, and Danny O’Connor is all too happy to accept their help. The Democratic National Committee even distributed a donor appeal signed by O’Connor this week — another example that he’s going to be 100 percent on board with the party’s left-wing agenda. The Democrat Party supporting Danny O’Connor is anything but moderate. The old “party of the people” has been hijacked by far-left extremists who are calling for such things as the abolition of ICE and condoning violence against conservatives. O’Connor’s silence on these developments speaks volumes. It’s no surprise that President Trump described O’Connor as a “Nancy Pelosi Liberal who is WEAK on Crime & Borders.” This is all too true. We’ve made too many gains under President Trump — gains that we can’t afford to let O’Connor and his radical Democrat friends strip away. Second quarter GDP grew a staggering 4.1 percent! Ohio’s unemployment rate has dropped from 5.2 percent to 4.3 percent, according to the Bureau of Labor Statistics. The state has added over 76,000 jobs since President Trump took office. The Columbus area alone has added over 40,000 jobs and seen its unemployment rate drop from 4.9 percent to 3.5 percent in the same period. O’Connor’s hidden priorities run contrary to former GOP Congressman Pat Tiberi, a compassionate conservative who supported efforts to repeal and replace Obamacare, as well as the President Trump’s historic tax reform. To make sure that Ohio values are protected in Washington, D.C., voters must send Troy Balderson to Washington; he will continue Tiberi’s legacy. Balderson is a strong, proven conservative whose top priorities will be supporting tax cuts, defending the 2nd Amendment, building the wall and draining the swamp. As Congressman to Ohio’s 12th District, Balderson will work with congressional Republicans to protect and advance President Trump’s agenda and the values Ohioans hold dear. O’Connor, on the other hand, would only stand arm in arm with left-wing Democrat leaders to obstruct the president’s agenda. Don’t let phony moderate Danny O’Connor further the Democrats’ radical agenda in Washington. 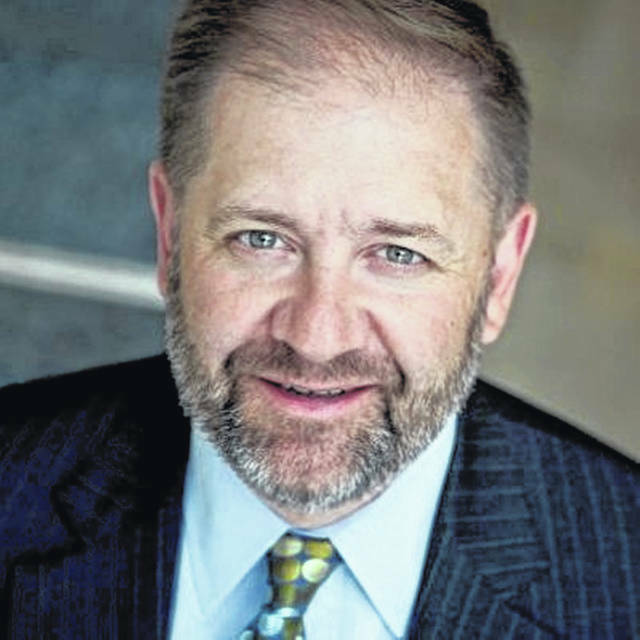 Bob Paduchik is co-chairman of the Republican National Committee. He resides in Genoa Township in Delaware County.